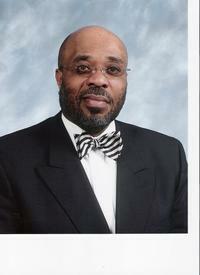 Pastor McCain is a native of Philadelphia, Pennsylvania. He is a graduate of Virginia Union University (B.A. in History/Political Science), Gammon Theological Seminary (Master of Divinity), and United Theological Seminary (Doctor of Ministry). Dr. McCain has served in the North Georgia, Virginia, Northern Illinois, South Indiana, and Memphis Annual Conferences of The United Methodist Church. Dr. McCain was appointed to Grace United Methodist Church June 1993 by Bishop Kenneth Carder after serving for 12 years in the South Indiana Annual Conference. While serving congregations he has served on many boards and committees of organizations in Indianapolis and Memphis to advance the ministry of the church. He is a member of Alpha Phi Alpha fraternity. A retired Commander in the United States Navy Chaplain Corp, he has been married for thirty eight years to Terri, a retired elementary school educator and has two grown children, Martin, Jr. and Mia. Pastor McCain is a golf, tennis, and jazz enthusiast.